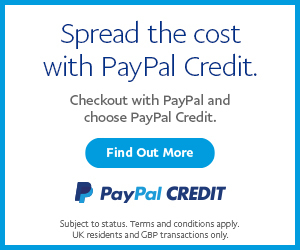 A classic reliable radiator, Princess radiators are believed to be originally manufactured by the American Radiator Company in the 1890s.With a classic appearance and an authentic style, this radiator is a dependable choice for many homes. 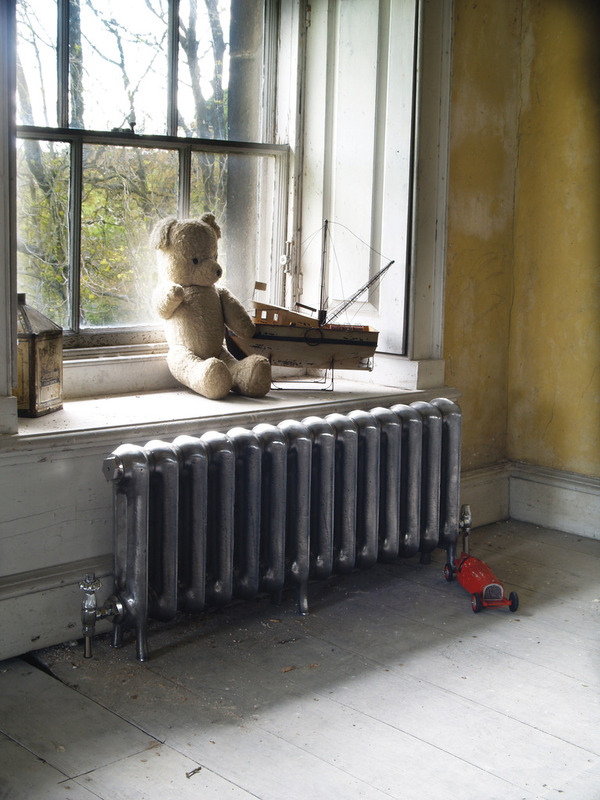 With its shallow depth, the Princess radiator is ideally suited for hallways and narrow rooms. 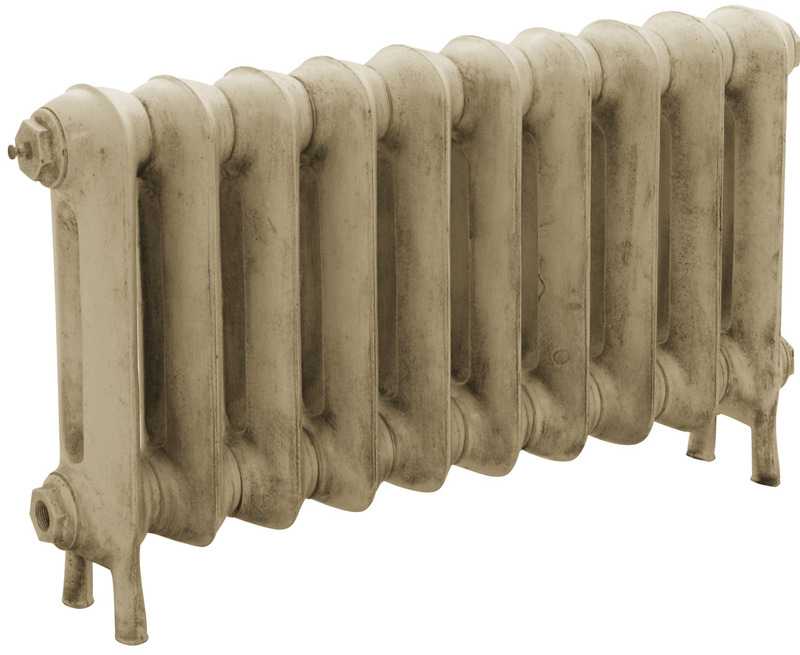 Originally known as the ‘peerless’ radiator, this model is a modern day classic. 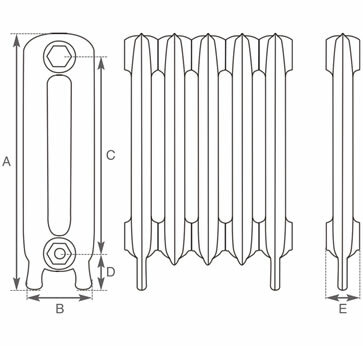 The Princess cast iron radiator comes in a variety of heights, including 460mm, 610mm and 795mm tall, and is 125mm deep, making this slim radiator a versatile choice for any home. The Princess radiator is classic in style, with a simple and authentic look. Any Princess cast iron radiators can be painted in a colour of your choice. Our range of standard colours includes: Vellum, Buttermilk, Parchment white, French Grey, Satin Black, Graphite Grey, Foundry Grey, Hammered Gold, Ancient Breeze, Willow Green, and Hammered Bronze. The sections of the Princess radiator are first primed and then painted in loose sections before being built and pressure tested. The cast iron radiator is then painted in at least two top coats to ensure the high standard results are achieved. Additionally, there are luxury finishes available for your Princess radiator, including Hand burnished, Highlight, Satin finish, Antiqued finish and Antiqued Copper. 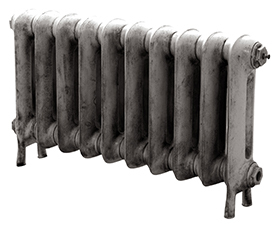 The Princess radiator also produces a very respectable heat output, making this type of cast iron radiator a perfect choice for the home. Manual or thermostatic style radiator valves can be used to compliment your Princess cast iron radiator. Use of wall stays are recommended with all of our Carron cast iron radiators. Choose from front mounted wall stays or a rear mounted wall stay for a more discreet look - the choice is yours.